Wow! for 7.95 there must be 5 times the number of tubes than the kit I bought for $7 at the shack a few months ago. They are good tubes too-- they take the heat very well. Planned obsolescence at its finest. Best Purchase Ever (because heat shrink is awesome). 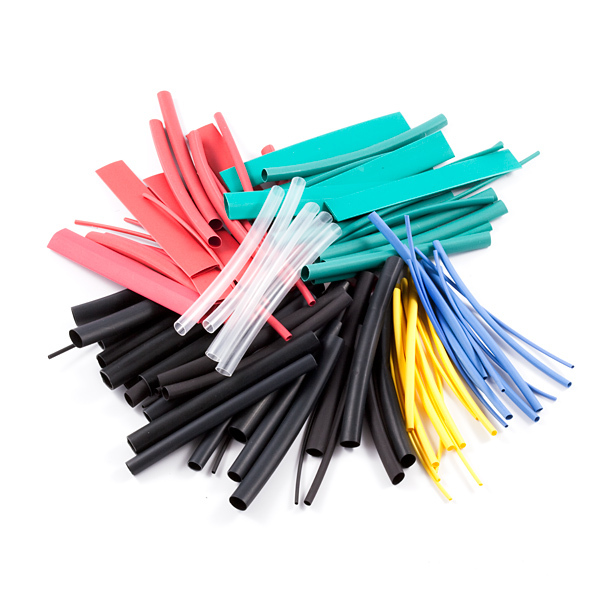 Do not buy the regular heatshrink; it's to big for standard wire. 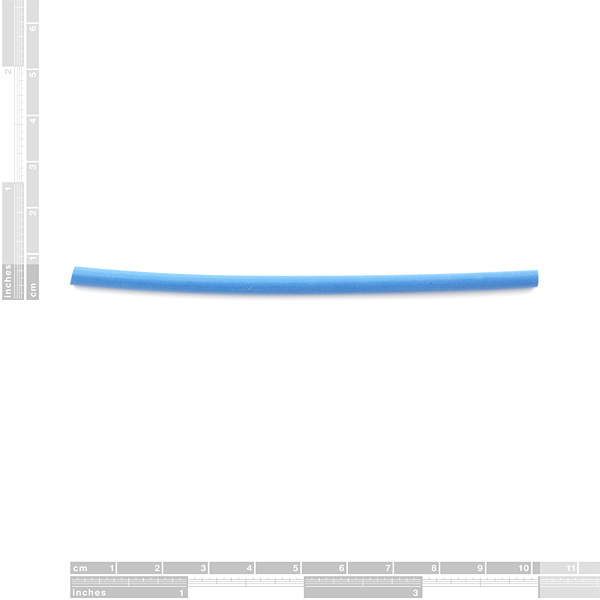 And what's up with the 9.5mm (.374 inches/0 GAUGE WIRE!!!!) It's humongous. Maybe we can use the magnet squares (of " hold small children to a fridge" fame) and use the big heat shrink to wrap up the children! p.s. and transparent heatshrink is REALLY COOL! 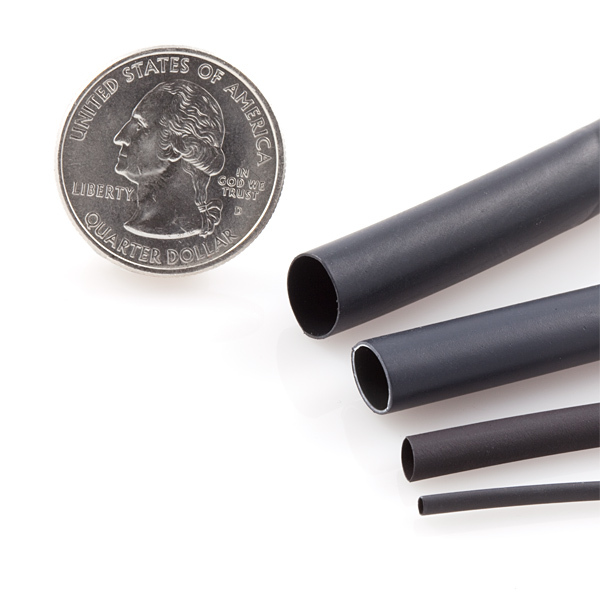 The large heatshrink is great for very small self-contained circuits -- For instance, it's common to use on MOSFET control units in airsoft guns, to surround the whole unit (FET+diode+resistors+wires) and keep it from making contact with the metal chassis while inside the gun. That's similar to what I use the larger sizes for, after splicing a two-wire line with their own heat shrink tubes over the solder joins, I put one larger one over the pair for further protection. Can't tell you how many wires the feline has bisected, bit, mangled, chewed, or otherwise made useless. What can be said that hasn't been said. The tube here is very good, they even have 1.5mm which is perfect for LED legs and covering bare bus wire. I checked with tech support and they said they usually use their heat gun at 212F with this stuff. I also stuck it in my oven at 215F and then 250F because I got impatient and that worked as well (better than using a hair dryer when I needed to do a whole bunch of parts). How am I supposed to tell which black pieces have glue? I have ten black pieces of diameter 6.5 mm and five of diameter 9.5 mm, and they all look identical to me. What is the shrink ratio? 2:1, 3:1? Thanks. This kit is awesome! I love that some of the pieces have water-proofing glue. What is the heat resistance of these parts? Specifically do you think they could be used to insulate the wire on the power resistor here? Just received my heat sink kit and it looks just great. A good selection of sizes and just the right length for most of my needs. Keep up the good work. I love this kit! It comes at a great price, much less than I've had to pay at other electronics parts vendors, and it comes in lots of sizes, ranging from small enough for thread-width wire to large enough for thick cables and small circuit boards! 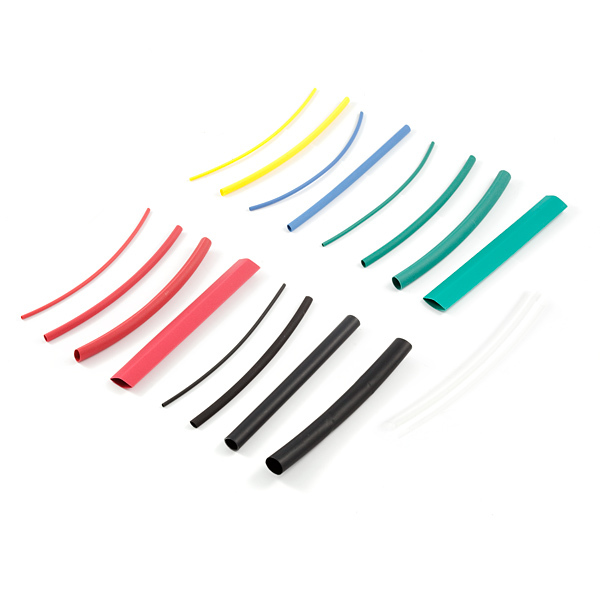 Also, it has multiple colors, which is real useful in a large project with lots of color-coded wires, and it shrinks a LOT, and without much finesse. I love this stuff, and it was very appealing that included both the dual wall adhesive kind and the regular. However, I wish the adhesive and regular kinds were separate, so you don't have to guess which one will have adhesive. Other than that, I highly recommend it. So I was looking at replacing one of the u joint traps underneath my sink, but alternatively decided that we could utilize sliced segments of heat shrink that were then melted back together to create a temporary patch for the workshop sink. Much quicker than replacing the u joint trap. I could not find the MSDS on how long it takes for these to degrade when exposed to temperature swings common on the sink, but who knows how long this patch will hold! Will update with findings on how long it will last. edit: hey what's with this /f am I branded?